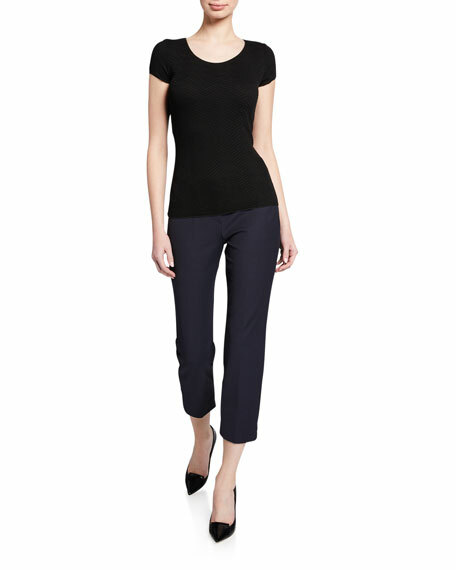 Emporio Armani pants in cotton-blend. 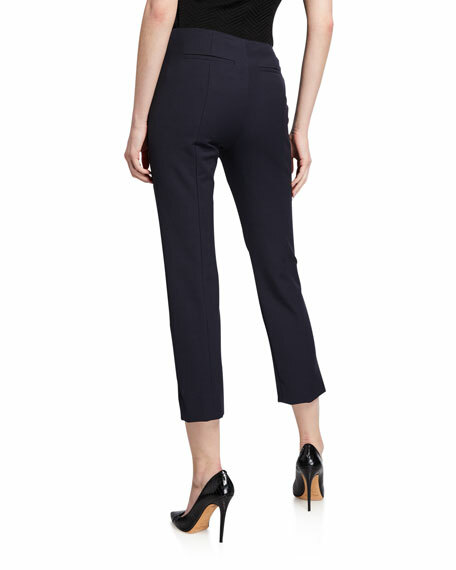 Emporio Armani pants in micro diamond-jacquard. Mid-rise; belt loops. Button-zip fly. Side slip pockets; back besom pocket. Tailored fit through tapered legs. Cropped at ankles. Cotton/polyester/acetate. Imported. Model's measurements: Height 5'10"/177cm, bust 33"/84cm, waist 25.6"/65.2cm, hips 35.8"/91cm, dress size US 2-4/FR 34-36. 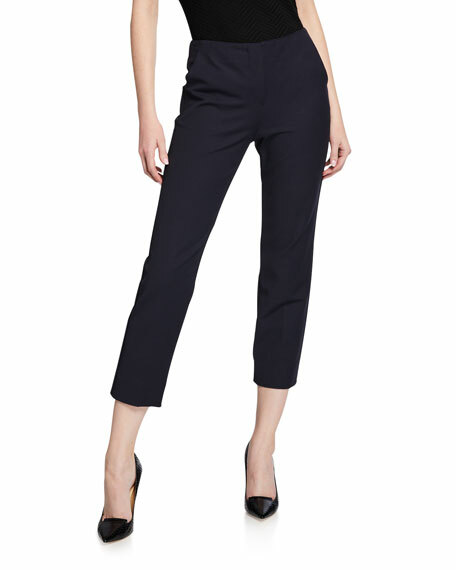 Emporio Armani "Riga" pants in pinstriped pajama-inspired fabric. Mid rise. Side slip pockets. Wide fit through legs. Wide cuffs. Cropped at waist. Pull-on style. Acetate/viscose. Imported. Model's measurements: Height 5'10"/177cm, bust 32"/81cm, waist 24.5"/62cm, hips 36"/91cm, dress size US 2/4. Emporio Armani m? ?lange pants. Mid-rise; flat front. Belt loops details. Side zip. Relaxed fit. Wide legs. Viscose/elastomultiester. Imported. Model's measurements: Height 5'10"/177cm, bust 33"/84cm, waist 25.6"/65.2cm, hips 35.8"/91cm, dress size US 2-4/FR 34-36.